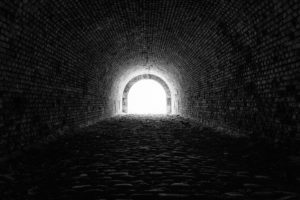 What’s Behind Your Query Letter? Remember that famous line from Professor Marvel while he scrambles in his hidden cubby to yank levers and work a mic that make the big and scary Wizard of Oz bellow? In the world of Authors Ready to Query, Professor Marvel = author and his little cubby, the real deal of the novel. Bear with me here. 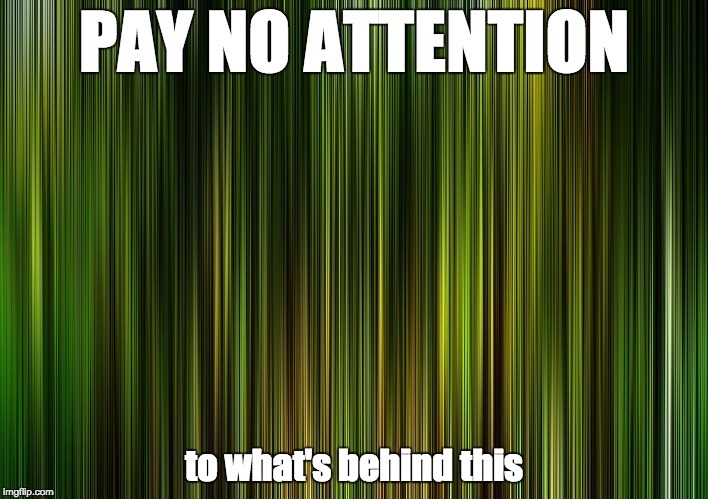 You might not see it just yet. The Scarecrow calls him a humbug. Dorothy informs him he’s a very bad man. Professor Marvel’s built a huge fantasy that’s terrorized and controlled a city for ages, never mind our four adventurers, and they’re more than mad. But man, what a show it was, right? Dude, that took some doing! I who’s watched this film probably over 50 times has a different take: all the machinery Professor Marvel had to set up to fool so many was actually quite impressive. He took an idea and an opportunity and built a whole narrative. And all of Emerald City bought the story. When we shop out a novel to agents, we better have a man behind the curtain. I’m talking tons of levers and smoke machines and mics and amplifiers. The bones of the thing must be strong and all the buttons need to fire at just the right times. When an agent starts reading beyond page 10, things better be more than spell checked. When someone yanks aside that curtain, there’d better be something there. How do you know when your novel is ready to query? Share below! It’s tempting to start querying before you’re done-done. By that I mean, on a third or fourth draft. Beta read and tested and reworked after that. Unless you’ve been cranking out books for years, you need to pace yourself and make sure all the wiring works and the nuts and bolts are tight. Developmental editors and beta readers are key to this endeavor, and they do cost. Either in cash or time—editors, professional ones, will need to be paid, and if you don’t offer your beta readers a token gift, you should definitely swap with your own beta reading time. Before I signed with Amy Tipton of Signature Literary Agency, I worked with editor Angelle Pilkington. She saved my story from the muck and mire where it was frankly wallowing. I couldn’t see how to take it to the next level. Angelle helped me remove the first third and make the action urgent. By the time I queried Amy, I had a fourth draft of my novel truly ready for agent eyes. Now Amy gets all the fun of helping me wade and fortunately she’s got thigh-high boots for the gig. Here are elements of substance expected in the YA world. Your genre may have different features, but good writing cuts across forms. And let me assume that when you decide to query an agent you are looking to build a career with some commercial success—i.e., some revenue for all this effort—and therefore you care what the market will bear and what the purveyors of literature think. A back story that may be hidden but erupts at just the right times to explain certain moments—without sounding like you’re explaining. Author and coach Kristen Lamb talks about The Wound and she will help you see why is matters so much. Round out your character till you know what’s hurt them! A heady, healthy pace rooted in A Problem to Solve. If you’re writing a novel that’s one suited to of the commercial genres, think of your story this way. A career is built on substantive work. In this age of people cranking out a book a month, know the truth: unless you’ve got elves, you need time and grit and devotion to build a book. From cornerstone to roof, the thing’s gotten stand for the ages. So if it’s daunting to consider all this work, ask yourself: am I in this for the long haul? Do I want to build books forever? No one ever gives Toto any credit, but if he hadn’t yanked aside that green silk curtain, we’d never know, would we? Know that the agent is even more dogged than a cute Cairn terrier. She will find out whether the stuff behind the show you put on in your query is for real. And if you’ve done the work, the right work, trust you will be hearing from someone real soon. Are you ready to take a novel to the next level, or ready to query now? 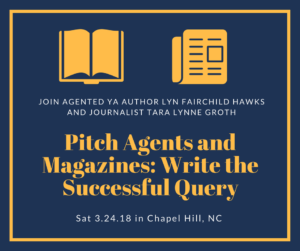 On March 24 in Chapel Hill, NC, join me and Tara Lynne Groth, experienced freelancer and journalist, for our workshop that will help get your novel and your querying process in game shape. If you’re wondering how to approach literary agents and magazines with words that get a positive response, we’ll help. Learn the dos and don’ts of querying—from the pitch to the synopsis to the bio. Review queries that worked and get started outlining your own query. You’ll get useful tips to use today and a current perspective on the business of pitching your work. Includes an individualized critique of your query letter. 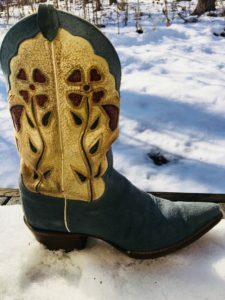 When I headed to the Chicago Writing Workshop to pitch agents, you can bet I brought my best boots, a big smile, and a query letter–polished to a high shine. Better than that, I had a complete manuscript. The complete manuscript came courtesy of years of hard work and several drafts of that query. These boots are made for pitchin’–in all kinds of weather. A query letter forces you to figure out just what your story means and why it deserves to have a place in the market. It’s a great exercise–and a great break from the writing process–when you feel mired in the muck that is your novel and feel like pitching it over a cliff. What have you learned about your novel while writing your query? Share below! Does my story have an arc that satisfies the reader? Does my story have stakes? When you’re crafting the query’s brief synopsis paragraph and when you’re crafting a logline (2 sentences, max), you definitely need these answers. Questions like these make you go back and start an outline if you have none or revisit the one you have. Because “logline” is borrowed from the screenwriting industry, I highly recommend Blake Snyder’s Save the Cat for authors who aren’t sure there are stakes or arcs or transformation. The beats of a screenplay keep me sane when I am full of scenes, characters, and words. Beats are the bones I hang everything on. The hero’s journey, which is Snyder’s essential inspiration, may not be your cup of tea. I understand. 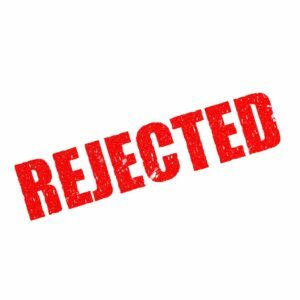 But in this age of story when many agents and publishers you’re pitching want to know how your novel can appeal to the widest swathe of readers, understanding this classic plot trajectory won’t hurt. In fact, knowing what tugs all human heartstrings is a huge advantage when revising your novel. You’ve been spending all those hours alone, you and the pages. I start to feel a little odd, myself. By the third day of straight writing, conspiracy theories make a whole lot more sense to me. Because in our fevered writer brains, everything connects, right? Themes abound and machinations, webs, and intersections are constant. Our story makes all kinds of sense–in our heads. Audience? What audience? Writing a pitch to the remote agent, the distant grail/prince/princess you desire, makes you a better storyteller. After hanging at their bird’s eye vantage point and attempting to explain the view, you see whether there’s a mountaintop (arc) and a crisis slide down the other side–fraught with rocks that rip up your protagonist’s derriere. Is there a Catalyst? An All is Lost moment? A Dark Night of the Soul? Then when you get back to the page, you are writing for that agent, that publisher, that person who will fall so in love with your story she will sell it to many. I write for myself, sure. I have burning urges of self to express. But I also really really REALLY want someone to listen.